Sago palms can be a beautiful addition to landscapes in tropical zones. They can also be large dramatic houseplants in cooler climates. Though, sago palms are actually in the cycad family and not actually palms, they can be susceptible to many of the same fungal disease as true palms. Continue reading to learn more about rot diseases in sago palm trees and how to prevent them. 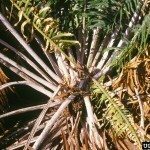 What Causes Sago Palm Root Rot Problems? Most sago palm rot comes from the fungal pathogen Phytophthora, which can infect any part of the plant. These harmful fungal spores are usually spread via water, insects, tools that have not been cleaned between use, and infected plants rubbing against other plants. Sago palm root rot can also be caused by soil or mulch being piled up on the root crown or soil that does not drain properly. Oftentimes, sago palm rot is a secondary condition that happens when the plant is deficient of nutrients or has been damaged. Prevention is the most effective way to deal with rot diseases on sago palm. When watering, apply a slow, steady flow of water right at the root zone but not directly on the crown/trunk of the sago palm. This will prevent splash back of possibly infected soil and keep the aerial parts of the plant drier. A slow watering also allows plants to absorb more water, reducing run off. Sago palms prefer some shade during hot afternoons. It’s best to water them in the morning to give them plenty of sun to dry off any splashed water. Before planting a sago palm, you should check the site’s drainage and amend it if it doesn’t drain properly to prevent many future fungal problems. Adequate air flow is also important in preventing sago palm rots. Crowded plants can infect each with fungal disease and create damp, shady areas that fungal pathogens can thrive in. Also, always clean your pruners with rubbing alcohol or bleach water after each use. Open wounds from weed trimmers, mowers, animal damage, etc. 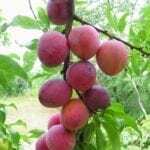 can let disease and pests into plants. If sago palms are planted too deeply or heavily mulched at the root crown, they can be prone to crown rot. Keeping your beds weed free can also prevent the spread of many fungal diseases. You should remove infected foliage and then treat the plant with a fungal spray or systemic fungicide if you suspect sago palm rot. When plants are grown in containers in nurseries, many valuable nutrients can be leach out of the soil from frequent watering. When buying a sago palm as a houseplant, you should repot it in new, fresh soil. Whether a houseplant or a landscape plant, sago palms have a high magnesium need. Nutrient deficiencies can make plants more susceptible to pests and disease. To keep your sago palm healthy, fertilize it with a specialized palm fertilizer which should have extra magnesium (with N-P-K-Mg numbers like 12-4-12-4). A general 10-5-10 fertilizer will also be fine, but sago palms do best with slow release fertilizers.